Your baby is born ready! All babies are born with the natural ability to swim and are perfectly adapted to immersion in water. One reason is the mammalian diving reflex that makes them automatically breath-hold whilst submerged. The Aquatots programme further develops or re-introduces this natural ability. 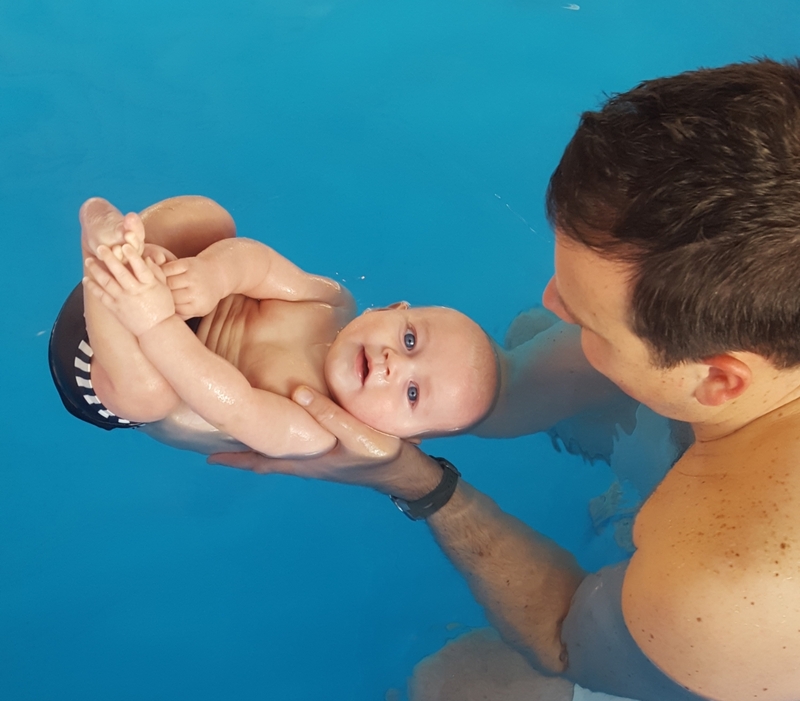 Our methods are based on word association, fun and encouragement, so your baby gradually builds up water confidence and skills in the water. The babies start with one submersion of about 1 second duration, and are then gradually introduced to short swims, taking each baby’s ability, development and age into consideration. Learning to swim freestyle (doggy paddle swimming) from an early age is far more natural, fun and easy! Regular use of armbands and similar swimming aids typically often creates a false security and confidence. The natural approach using exciting teaching techniques has been used with success for more than 25 years in the UK, and are also popular in Europe. Thousands of babies have learned swimming and basic water safety in this natural, fun and safe way, swimming subsurface and without the use of buoyancy aids, such as armbands or vests. Amazing results and lifesaving skills are often obtained in a few lessons. They learn for instance to breath hold within weeks, and turn to the side and kick from the bottom. All of these important water safety skills that may save your baby’s life someday, making them less likely to panic should they accidentally fall into any body of water and buying you some time to deal with the situation. Most babies are about two and a half to three years old before they have the muscle coordination and motivation required to actually lift their head up and breath above water. In Aquatots, it is quite common to be able to swim 5 meters across the pool when 3 years old and swim 25 meters already at the age of 4 years. By the time they are 5 years old, many can swim 100 meters, and when 7 years old, many can swim 1000 or 2000 meters or more. 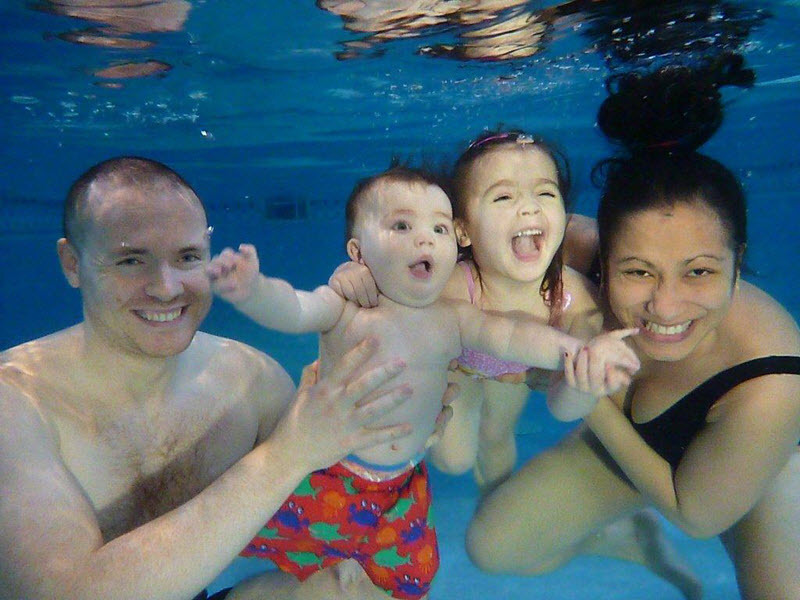 The Aquatots program ensures your child will have a real head start and lots of fun on the way. But until then, make the most of it and let them have the opportunity of early adaption to water and swim underwater instead, until they can swim above water. The earlier you start and the younger your baby is, the better it is and the easier and quicker they take to it and learn to swim 5-10 meter and so on independently. Of course there is time set aside for play and relaxation too. Learning should be fun. It is easy, it is safe, and it is fun! "Absolutely love aquatots, it's my favourite day of the week!"